« The Cure, Mumfords, Nine Inch Nails part of 2013 Lollapalooza Line-up. 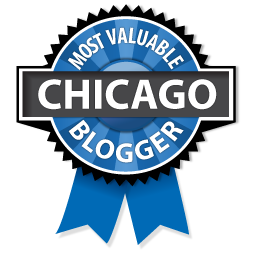 See Full Listings Here. 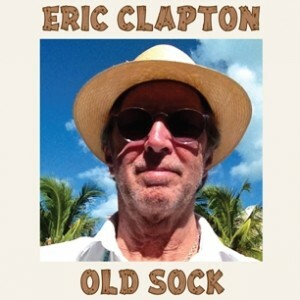 Today’s Cool Album of the Day (#850 in the Series) is Eric Clapton, Old Sock, but first we look at his 50th Anniversary Tour concert stop in Oklahoma City. It is hard for me to put into words the excitement I had going to see Eric Clapton in concert. This is the man who inspired me to pick up a guitar and learn to play. At the same time, his playing can make me want to quit the guitar as there is no way I can imagine being able to sound that good. Whenever I feel like I can’t find any enjoyable music, I turn to Eric. The week before the show I made sure to have a steady diet of The Yardbirds, John Mayall & the Blues Breakers, Cream, Derek & the Dominoes, and plenty of solo work. I also only had a week to pour over the new album Old Sock which I’ll cover in a little bit. 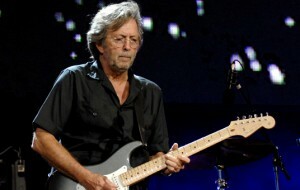 Eric Clapton is unequivocally my favorite guitar player of all time. I know some people would argue that there should be some others ahead of him on the list. After listening to Cream as a teenager, there could be no one else on the top for me. The tone, style, and personality are a perfect match for my ears. Part of what I like about hearing Clapton live is he can play a song you have heard a hundred times and make it sound fresh. I guess you would have to be able to do that if you’ve been playing the same song for over 40 years. The show, as expected, was amazing. Opening with the appropriate “Hello Old Friend,” the stage was covered with band members. The musicians for the 50th Anniversary Tour include Doyle Bramhall II on guitar, Steve Jordan on drums, Chris Stainton on piano and keyboards, Willie Weeks on bass, Greg Leisz on pedal steel guitar, Michelle John & Sharon White as backup singers, as well as “The Man with the Golden Voice” Paul Carrack on organ, keyboards, and guest lead vocals. In typical Clapton style, every band member got to spend a little time in the spotlight with plenty of solos being shared by everyone. The core of the band was also the musicians on Old Sock. I had figured that part of the reason for this tour was to promote Clapton’s new album Old Sock. The only song performed from the new album was “Gotta Get Over.” This is the most energetic song of the album and has a familiarity like it could have come from the Slowhand album. The overall view of the album has been mixed since its release. The complaints that I have seen aren’t that it is lacking musically but that it was not in line with expectations, mainly that there wasn’t the energy of some of his previous work. The album is very light and mellow. The closest thing I can think of is The Road to Escondido collaboration album with JJ Cale. Old Sock is the kind of music you would want to play while relaxing at a barbeque. What has become an expectation of a new Clapton album is there should be some collaboration with some other popular musicians he has met throughout his career. This album does not disappoint with the guests. We have Taj Mahal, Paul McCartney, Steve Winwood, JJ Cale (another favorite of mine), and Chaka Khan. The great thing about all the guests is that the song is tailored specifically for their style. These songs could very well be a guest appearance by Clapton on one of their albums. This album is a collection of covers with two original songs. What I really like is that this is a creation of what Clapton likes. It isn’t an explosion that leaves you wondering how he did that. It is some really good music. He even has his daughters sing on “Every Little Thing” which creates quite a touching moment once you realize who is singing. 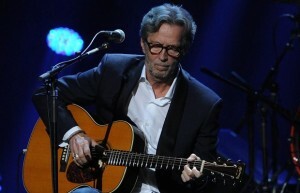 I continue to learn from Eric Clapton every time I listen to him. For this album it was that you don’t always have to be on a mission to impress everyone. Sometimes making great music with friends is more important than showing off. This is a message that transcends music – if you always try to impress people, you may just forget to relax and enjoy life.